I suppose this is a rather unusual issue that likely only affects a small number of users, and I hope you will not consider it an imposition. Due to a vision impairment condition, the regular monochrome, low-contrast Firefox/TenFourFox browser interface is basically unusable for me. For this reason I've been employing a FireFox add-on for many years, called "Firefox 2, the theme, reloaded" (https://addons.mozilla.org/en-US/firefox/addon/firefox-2-theme-for-firefox-3x/). 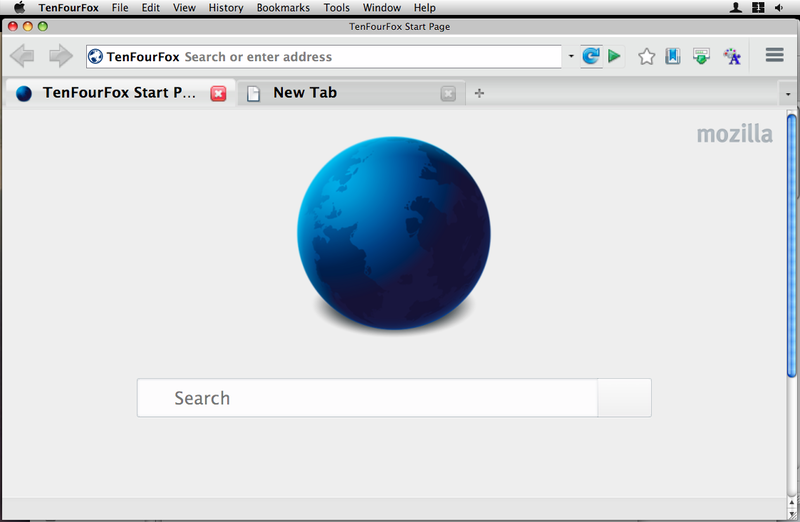 As the name implies, it restores the Firefox 2 interface look with its lighter background and high-contrast, colorful toolbar icons, which dramatically improves interface visibility. To work properly with more recent versions of Firefox/TenFourFox, this add-on has to be paired with another called "Complete Theme Helper" (https://addons.mozilla.org/en-US/firefox/addon/complete-theme-helper/), which among other things also restores the option to switch between large and small toolbar icon sizes (via the "extensions.cthelper.iconsize" preference in about:config). For even more improved visibility, I'm naturally always opting for the "large" icon size. This ability, to display large toolbar icons, has always worked perfectly in ALL versions of Firefox (and TenFourFox up to version 38.10) – except in Firefox ESR 45. I've tested this on my husbands MacBook Pro, the fault indeed somehow lies with this particular ESR release. In all subsequent Firefox versions up to at least Firefox ESR 52, this issue must have been fixed, because the interface is once again able to display the large toolbar icon size when the 2 add-ons as described above are installed. Because all TenFourFox FPR releases are based on Firefox ESR 45, they have exactly the same problem: the toolbar icons remain small even when the large size has been chosen in the "Complete Theme Helper" preferences. For this reason I still mainly use TenFourFox 38.10, simply because I can see it better. But I would really prefer to upgrade to the current FPR Release permanently. Therefore my question: Would it be possible to fix in the next TenFourFox FPR release whatever it is that prevents its interface from scaling the toolbar to display the large icon size, as it was possible in TenFourFox 38? In any case, thank you very much for all your hard work over the years, making this amazing browser available to us! Dasa, I can confirm that the add-on doesn't work correctly with TFF 45/FPR. While I don't know if/how this can be fixed, I can suggest a substitute: Theme Font Size Changer, see screenshot. I'm sure you are aware of the built-in accessibility features of Mac OS X such as Zoom and Contrast Enhancer. There were times when I was visually impaired, too (temporarily) and I found them to be of great help. Thank you for your reply, Chris! Yes, I know about the Zoom feature of Theme Font & Size Changer, yet another indispensable add-on I use for increasing the font of the TenFourFox interface to a readable size. I've experimented with its Zoom feature in the past, which basically works like the AppleDisplayScaleFactor, and encountered the problem of the non-scalable contextual menus. But what made it unusable in the end was the fact that the Mac started really heating up whenever I employed this zoom feature. Rendering the enlarged interface must put a lot of strain on system resources on our old Macs. I find Apple's Zoom to be more hassle than help, and the Contrast Enhancer washes out the colors, thereby (for me) REDUCING contrast and visibility. So I'm back to trying to get the two original add-ons to work... Unfortunately I just don't know how to find what exactly it was that went wrong in Firefox 45 ESR and was fixed in subsequent versions. Probably something that was unrelated to toolbar icon sizes at first glance, but impacted them nonetheless. Anyway, thanks for trying! Dasa, I'll have a look at why it doesn't work in 45, but keep in mind it may be actually a repair that can't be made for technical reasons. Add-on compatibility is explicitly "best effort only," so I can't guarantee anything. Thank you, Cameron, I appreciate that very much! I completely understand the issue about add-on compatibility, and I'm happy to report that all my others (mostly for visibility improvement) continue to work flawlessly. Your ongoing work on this browser is awesome! !